Patch V.2.4.2 is planned to release February 8. Valentine’s day is coming and Fortnite is getting in the spirit. Feeling lovey-dovey? 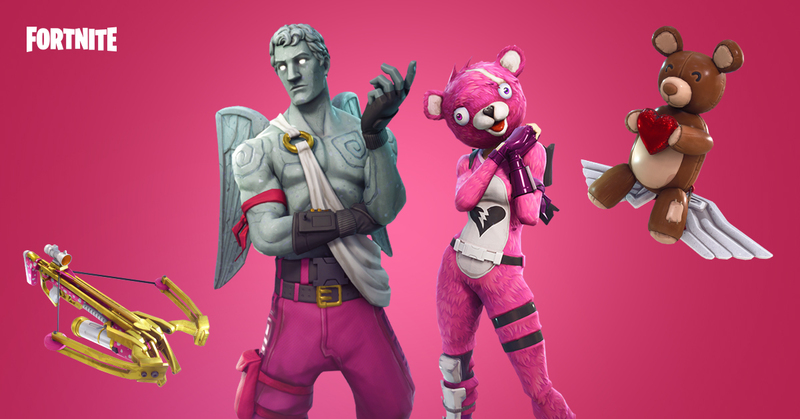 Then grab yourself Valentine’s Day themed skins in Battle Royale. Gunpowder, not your thing? The new Crossbow allows you to hunt your prey the old-fashioned way. Eliminate your targets with stealth and finesse with this new addition. Need more love? For our Save the World fans, our new Valentines themed quest starts next week! This is a light week for patch notes, but don’t worry, we have plenty more to bring you in the coming weeks! Cupid’s arrow has struck Battle Royale, bringing in Valentine’s Day themed skins. 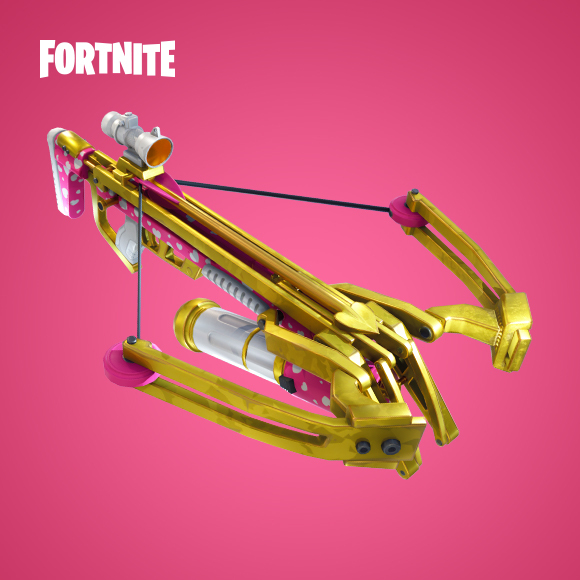 The Crossbow is the newest weapon addition to Battle Royale. Nock those arrows! This is a light week for patch notes, but fear not! We have plenty to bring you in the following weeks. Quests, events, bug fixes, quality of life improvements and more. Below you can see our current roadmap for big things to expect in upcoming Save the World updates. Known Issue: The Evolution Rarity costs for 3-star, 4-star, and 5-star heroes are higher than intended. This will be corrected in patch 2.5. The costs of Evolution Rarity have been adjusted so that the cost to reach a given rarity/level of hero is the same, regardless of the order in which the evolutions are done. Evolution rarity now costs a mix of Training Manuals, Drops of Rain, Lightning in a Bottle, Eye of the Storm, and Storm Shards. These amount of each ingredient required scales up at each star level. Week 1 of the ‘Spring it On’ questline released! Week 2 of “Spring it On” questline released! Inventory w/ Crafting in the front end.